Previously, Iconic director K.V Anand sir said that he is waiting for Suriya and his all scripts demands Suriya. Now it is time for the astonishing combo to rejoin after “MaattrraaN”. Yes, Suriya and K.V Anand are joining together. Can you find which film it will be? If you are said “Ayan 2” then you are correct. Yes, Deva is coming back for rocking the Box office again. 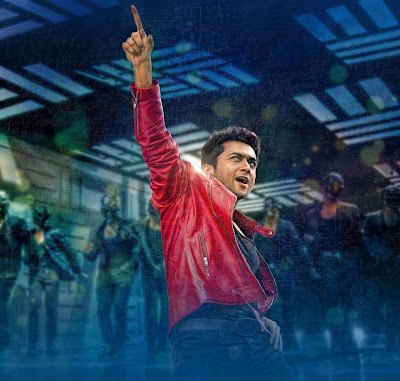 This time not as a smuggler, as a custom’s officer, then it will be a sequel to Ayan. The second sequential film of Suriya after Singam 2. Then how many of you waiting for Mr.Deva Msc.Computer science? rock star &mass hero of tamil cenima industry is suriya.i am waiting. Yes The RockStar Will Be Back With Lingusamy Or GVM Soon !!! Waiting Will Be Continued For Atlest 2014..
Everything In One Film ! Don't Forget About Subha Sir .. Thanks for your valuable feedbacks and comments. Visit and express your views again. Thankyou. This Is What We Call "Mass" !!! DEVa iZ baK...am WAitINg 2 c my Deva .. Perfect Dialogue For This Perfect Situation !!! Most Probably On To The Floors In 2014..
Nice To Hear From All Of You ! How Many Want Ayan 2 ???? Thanks For Your Comment Brother .. I know You are Eagerly Waiting Ayan2..
We Need More Support To Make Everything Possible. all suriya fans are waiting to see ayan 2 rocking suriya again. K.V Anand Sir Going to take A Film With Dhanush Now. So, In this Year No Way For Ayan 2.
the rock star &mass hero of tamil cinema is suriya. the time for the biggest of ayan 2.the block busster hit. If Deva Will Come Back As Custom Officer Then Ayan 2 Will Be the Biggest BlockBuster Of That Year For Sure ! I am Really Happy while Typing this Comment Because, The comments Here are inspiring me to do more official dependable posts. I am really Glad That Lot Of Fans Are Waiting For Our Hero Suriya Sir's Movie And Supporting him! Thanks For Everyone Those visiting this site.. But Love You Everyone Who Are Commenting & Supporting Me ... ! Thank You So Much Friends... ♥ ♥ ♥ Love You !